Hybrid cloud is a cloud computing environment that uses a mix of on-premises, private cloud and third-party, public cloud services with orchestration between the two platforms. By allowing workloads to move between private and public clouds as computing needs and costs change, hybrid cloud gives businesses greater flexibility and more data deployment options. And adequate wide area network (WAN) connectivity between those two environments. Typically, an enterprise will choose a public cloud to access compute instances, storage resources or other services, such as big data analytics clusters or serverless compute capabilities. 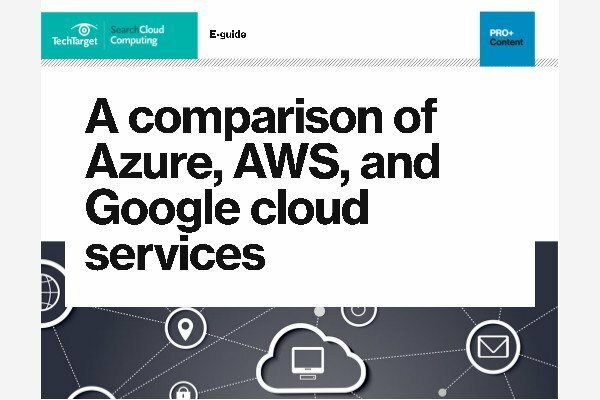 However, an enterprise has no direct control over the architecture of a public cloud, so, for a hybrid cloud deployment, it must architect its private cloud to achieve compatibility with the desired public cloud or clouds. This involves the implementation of suitable hardware within the data center, including servers, storage, a local area network (LAN) and load balancers. An enterprise must then deploy a virtualization layer, or a hypervisor, to create and support virtual machines (VMs) and, in some cases, containers. Then, IT teams must install a private cloud software layer, such as OpenStack, on top of the hypervisor to deliver cloud capabilities, such as self-service, automation and orchestration, reliability and resilience, and billing and chargeback. A private cloud architect will typically create a menu of local services, such as compute instances or database instances, from which users can choose. The key to create a successful hybrid cloud is to select hypervisor and cloud software layers that are compatible with the desired public cloud, ensuring proper interoperability with that public cloud's application programming interfaces (APIs) and services. The implementation of compatible software and services also enables instances to migrate seamlessly between private and public clouds. A developer can also create advanced applications using a mix of services and resources across the public and private platforms. Hybrid cloud computing enables an enterprise to deploy an on-premises private cloud to host sensitive or critical workloads, and use a third-party public cloud provider to host less-critical resources, such as test and development workloads. Hybrid cloud is also particularly valuable for dynamic or highly changeable workloads. For example, a transactional order entry system that experiences significant demand spikes around the holiday season is a good hybrid cloud candidate. The application could run in private cloud, but use cloud bursting to access additional computing resources from a public cloud when computing demands spike. Another hybrid cloud use case is big data processing. A company, for example, could use hybrid cloud storage to retain its accumulated business, sales, test and other data, and then run analytical queries in the public cloud, which can scale a Hadoop or other analytics cluster to support demanding distributed computing tasks. Hybrid cloud also enables an enterprise to use broader mix of IT services. For example, a business might run a mission-critical workload within a private cloud, but use the database or archival services of a public cloud provider. Despite its benefits, hybrid cloud computing can present technical, business and management challenges. Private cloud workloads must access and interact with public cloud providers, so, as mentioned above, hybrid cloud requires API compatibility and solid network connectivity. For the public cloud piece of a hybrid cloud, there are potential connectivity issues, service-level agreements (SLAs) breaches and other possible service disruptions. To mitigate these risks, organizations can architect hybrid cloud workloads that interoperate with multiple public cloud providers. However, this can complicate workload design and testing. In some cases, an enterprise needs to redesign workloads slated for hybrid cloud to address specific public cloud providers' APIs. Another challenge with hybrid cloud computing is the construction and maintenance of the private cloud itself, which requires substantial expertise from local IT staff and cloud architects. The implementation of additional software, such as databases, helpdesk systems and other tools can further complicate a private cloud. What's more, the enterprise is fully responsible for the technical support of a private cloud, and must accommodate any changes to public cloud APIs and service changes over time. Management tools such as Egenera PAN Cloud Director, RightScale Cloud Management, Cisco CloudCenter and Scalr Enterprise Cloud Management Platform help businesses handle workflow creation, service catalogs, billing and other tasks related to hybrid cloud. Additional hybrid cloud management tools include BMC Cloud Lifecycle Management, IBM Cloud Orchestrator, Abiquo Hybrid Cloud, Red Hat CloudForms and VMware vCloud Suite. Given the sheer volume of potential tools available, it is important for potential adopters to test and evaluate candidates carefully in their own hybrid cloud environment before making a commitment to any particular tool. What are the biggest challenges you faced during hybrid cloud adoption? Does your organization use a hybrid cloud? Why or why not? This hybrid cloud is perfect candidate I will propose my client. It's flexible to get cloud service while ease user concern of data security, especially it's compliance to government code, data must stay local, not abroad. We should go with hybrid cloud for short term project and need heavy system. Good explanation of what hybrid cloud technology is. The jargon can make it very difficult for beginners to understand.